Kleus ‘Clay’ Spacher has completed his freshman campaign with Linn-Benton Community College and is ready for his first season with the Highline Bears. 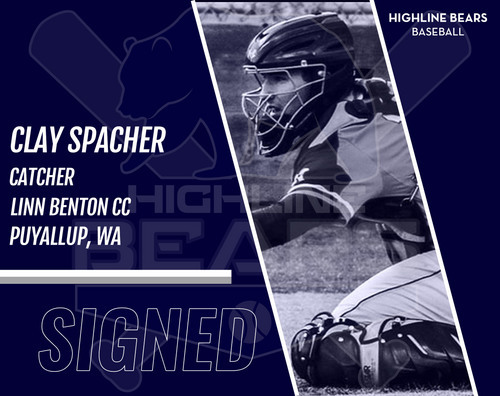 Spacher is from Puyallup. A graduate of John Rogers High School, Spacher played nine games in his first collegiate season. He got his first collegiate hit against Linfield JV on April 14th.